Get our 33ml Value Size and Save 26%! This all-natural treatment is easy to use and to love. 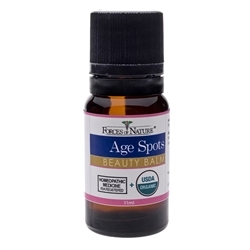 Age Spots Beauty Balm was developed by a team of in-house experts at Forces of Nature – this team is dedicated to creating safe and natural treatments without harsh side effects or toxic ingredients. They’re not painful, but age spots can be very uncomfortable for women and men who have the dark spots on their skin, face, hands, arms and more. Even more, treating age spots can be a frustrating exercise that involves toxic ingredients and unimpressive results. Age Spots Beauty Balm offers a safe, natural and organic solution to treating age spots. With homeopathic ingredients and effective results, Age Spots Beauty Balm helps improve skin tone and balance and remove age spots on the skin. With triple unsaturated fatty acids combined with ketones to help even out dark skin pigmentation, this effective age spots removal treatment is a natural moisturizer that is rich in healthy, natural phytochemicals. Age Spots Beauty Balm improves overall skin vitality and feel. Unlike most treatments for age spots, Age Spots Beauty Balm is both USDA certified organic and FDA registered. Results are guaranteed. The proprietary formula for Age Spots Beauty Balm was developed by the Forces of Nature medical team, including a naturopathic doctor and a staff biologist specializing in plant medicine. 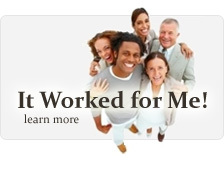 It is highly specialized and advanced, manufactured in Forces of Nature’s certified organic lab. Forces of Nature’s mission is to provide innovative natural medicines which deliver results to bring healing to the world. Like all of Forces of Nature’s organic products, Age Spots Beauty Balm comes backed by a one-year, money-back guarantee. Safe, natural and effective, Age Spots Beauty Balm from Forces of Nature creates beautiful skin on the spot.